Is e-commerce redefining PR content strategies? In February, this year, Flipkart used it’s platform ‘Stories by Flipkart’, to announce that Binny Bansal will be replacing co-founder Sachin Bansal as CEO of Flipkart. This immediately focused attention on the ‘Stories by Flipkart’ portal that carries a mix of customer and seller stories mixed with company news; all done in an editorial rather than PR style. While companies have often toyed with the idea of ‘brand journalism’, this is one of the first full fledged attempts to offer complete content to the audience bypassing media outlets. E-commerce is emerging as a defining trend for content in India. The e-commerce boom is driving innovative content strategies-forcing a relook at how to use content and are taking an editorial approach. 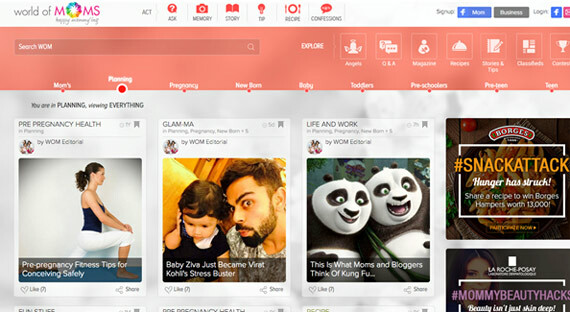 Sites such as firstcry.com are creating highly focused content for the young mother, including a magazine called ‘world of MOMS’. All of this content is designed with a key aim: how to aid a purchase decision. Sandeep Balani points out that that content marketing also needs to grow better in the Indian market. He gives the example of P&G which is focusing its attention on sampling. In 2014, P&G said that only 5% of their sales come from e-commerce sites, whereas 50 % is coming from online search and marketing. This led Proctor & Gamble to focus greater marketing resources towards product sampling. Naturally content tied to this will grow. Companies like Outbrain are also offering solutions that would help publishers to track the revenue yields on a piece of content though a measure called ‘Outbrain Automatic Yield’; an offering Time Inc. has signed up with. Has PR missed the content boat? PR professionals will not only need to create quality content but also be on top of content marketing techniques. The content pie is up for grabs and PR pros are best equipped to tell an engaging brand story.